Recruiting has traditionally been considered a function of Human Resources, but with new tools on the market and new strategies in the air, some are saying it belongs with the marketing team. Others are suggesting Talent Acquisition be pulled out into it’s own unique department in larger organizations. There are innovative strategies that address the changing landscape of digital relationships and networks, and powerful new tools that can seem magical when you’re trying to find the perfect candidate for the available position. 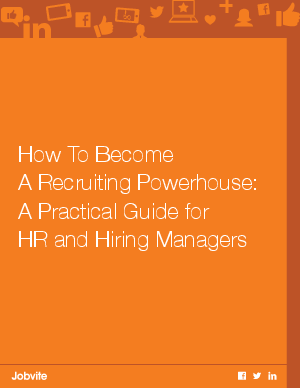 Understanding these strategies and harnessing these tools will prepare you to source, screen, interview and hire the best talent for your growing organization. Read this ebook to learn more.